Canine Coronavirus Infection (aka CCV) is a highly contagious virus which causes inflammation of a dogs' intestines. As well as targeting domestic dogs, this virus can also affect coyotes, wolves, foxes and other wild dogs. Coronavirus is often a self-limiting illness in healthy adult dogs but can be extremely serious in puppies, senior dogs or those with weak immune systems. Discovered in 1971, Coronavirus in dogs is similar to Feline Enteric Coronavirus which affects cats. But the two strains are different and cross-infection between your dog and your cat doesn't happen. Many adult dogs don't ever have symptoms and veterinary studies have shown that approximately 25% of domestic dogs have anti-bodies in their bloodstream, meaning that they've been exposed to the virus at some point in their lives. Puppies who are exposed to this virus prior to being vaccinated for it, and whose immune systems are weakened due to stress, illness or parasites, can get very sick, very fast. If the symptoms are left untreated this disease can be fatal. Repeated, severe or 'explosive' diarrhea is the most common symptom of Coronavirus. The stools are usually liquid, might be tinted orange, yellow or green and may contain traces of blood or mucus. Vomiting may be a 'one-off' incident, or it might be repeated. Not all puppies or dogs with this condition will run a fever, but some will. A dogs' natural body temperature is higher than ours, running somewhere between 101F and 102F in a healthy dog. If your dogs' temperature is 103F or higher then he has a fever. Canine Coronavirus is spread through the feces of infected dogs, and it spreads easily and quickly. Even after a dog has fully recovered the virus can still be found in his stools for up to 6 months. Your puppy or dog is most likely to be exposed to Coronavirus in environments where there are lots of dogs and puppies. These include breeding kennels, boarding kennels, dog parks and dog care facilities. Most reputable premises will insist that their canine attendees are fully vaccinated (including vaccination against Coronavirus) but due to the easy transmission of this virus - and the fact that a dog can be contagious for up to 6 months after recovery - they are still a risk for any unvaccinated pooch. The virus can be killed with a 1:20 bleach/water solution similar to that used to kill parvovirus. Use this to thoroughly clean floors, toys, bowls and all hard surfaces. You can pour it onto concrete outdoors too. 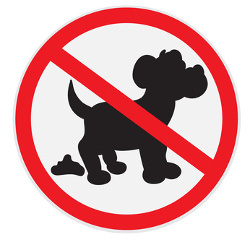 Be sure to rinse toys, bowls and similar objects carefully to get rid of all traces of bleach before giving them back to your pup/dog. Add bleach to the wash when you're cleaning beds, bedding or soft toys. Because Canine Coronavirus is a virus, antibiotics won't help the initial infection. The biggest danger to a puppy or immune-compromised dog is dehydration caused by repeated diarrhea and vomiting. Regardless of what is causing these symptoms in a pup/dog, veterinary help is always recommended because dehydration can cause organ failure and other serious issues. Treatment is mainly 'supportive' - which means fluids (by IV if the dog can't/won't drink enough) and rest. Antibiotics might be prescribed if a secondary infection sets in - and this can happen due to the severe inflammation and damage that can happen to the intestinal tract. Other medications such as anti-inflammatories may be prescribed by your veterinarian. If the vomiting and diarrhea are severe or extreme, there are medications that can be prescribed to help reduce those as well. Your own vet will make the call on these depending on how your pup/dog is progressing and whether or not there are any other diseases/symptoms to deal with. Puppies may develop Coronavirus as a complication when they are already suffering from another disease such as Canine Parvovirus. 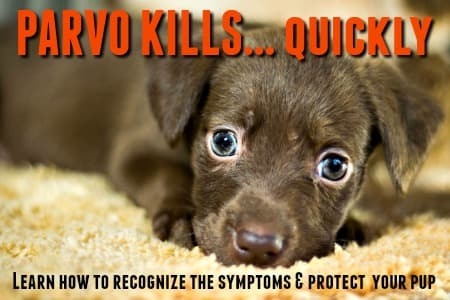 Making sure that your Fido or Fifi gets the Canine Coronavirus vaccination is the best way to protect your puppy from this dangerous illness. The Coronavirus vaccine isn't a 'CORE' puppy vaccine (the vaccinations that the AAHA recommends all puppies should have), but it is an important one nonetheless. Because puppies are most at risk of becoming really sick if they catch this virus, your vet will likely recommend that your pup be vaccinated against it. It can be included in a combo-vaccine, or given individually. If you own/adopt an adult dog who is in good health, discuss with your veterinarian whether or not you should have him vaccinated against this virus. For most healthy adult dogs it's not necessary - unless they'll be spending a lot of time in kennels, dog care facilities or classes. Show dogs or those who compete in canine sports on a regular basis probably should be vaccinated against coronavirus, but the average pet dog who spends 95% of his time at home may not need to be. As with all important dog health care questions, your veterinarian is the person with the answers and I'd suggest discussing this with hiim/her. The main symptoms of Canine Coronavirus (severe diarrhea, vomiting & lethargy) are also found in several other serious, contagious dog illnesses. 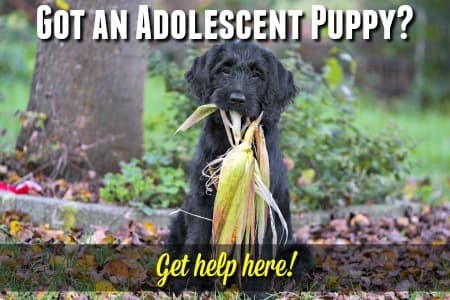 It's impossible for you to tell which disease your pup/dog may be suffering from, and repeated diarrhea and/or vomiting should never be a 'wait-and-see' situation. If Fido or Fifi develop these symptoms it's essential to get them to a veterinarian immediately. With some diseases even a 24 hour delay can be the difference between life and death.